Complete safety enclosure suitable for round trampolines with a 396cm diameter. Original model for Jump'Up 390 sold from April 2016. 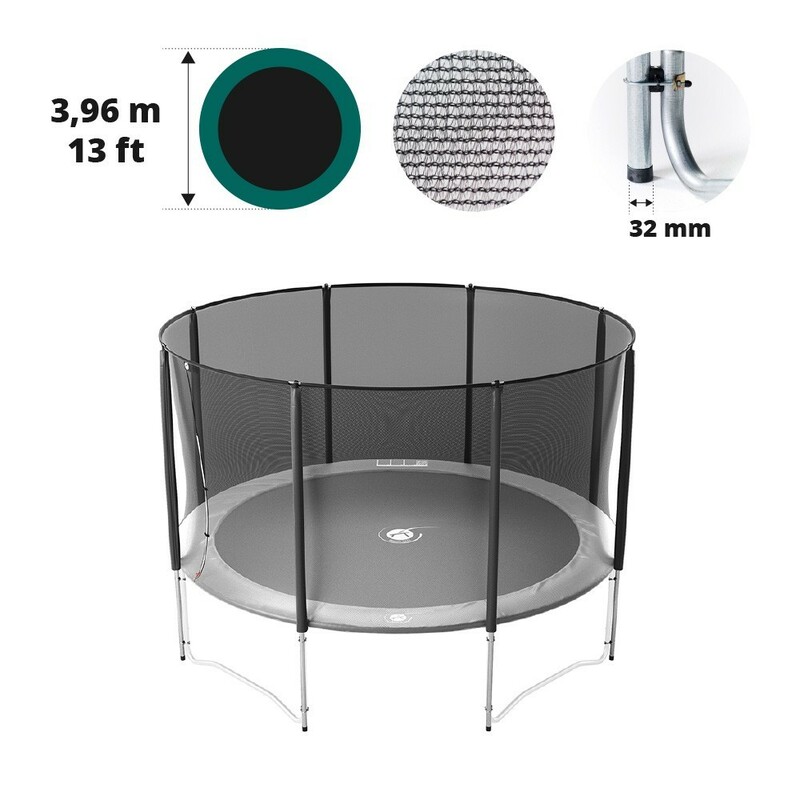 This safety enclosure is designed for round trampolines with a 3.96m diameter with 4 stands, even those that aren't France Trampoline. 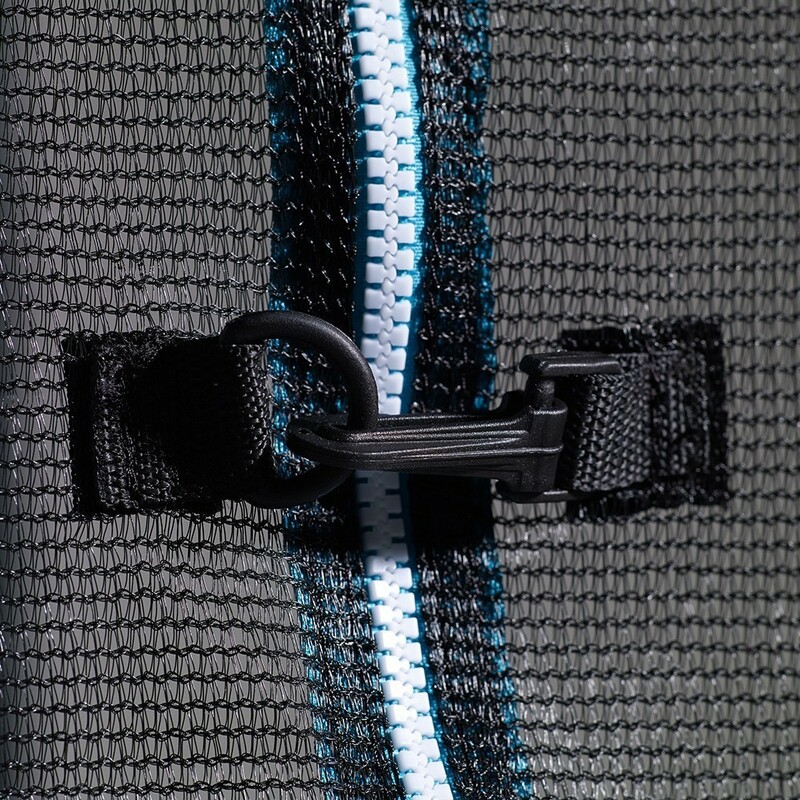 It ensures the jumper's safety and prevents them from falling outside of the trampoline. 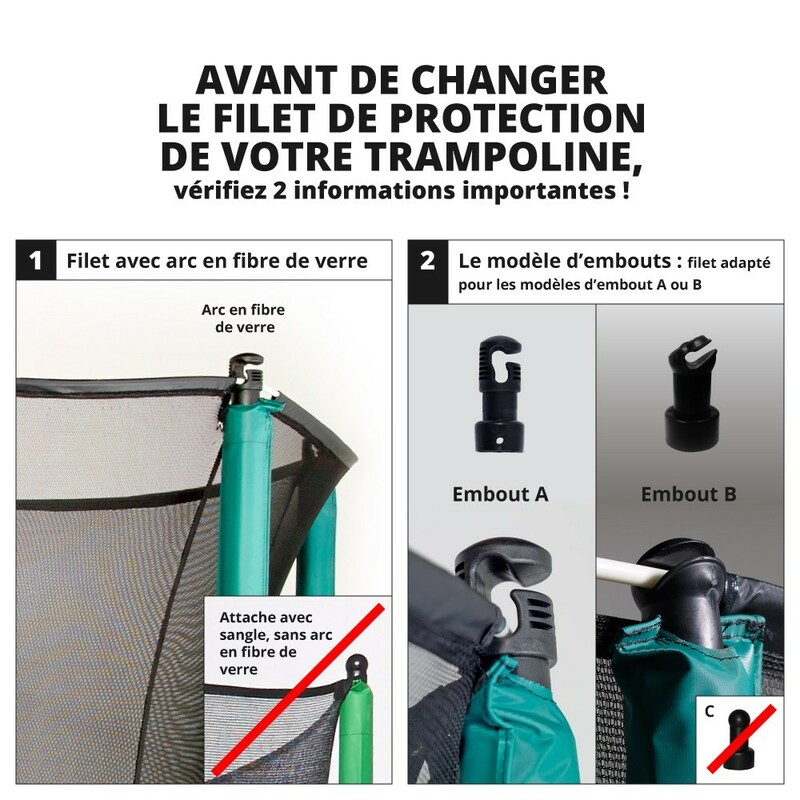 - The safety enclosure opens easily with a zip inside and outside (vertical only) the trampoline. This system also lets you lock the door when the trampoline is in use. 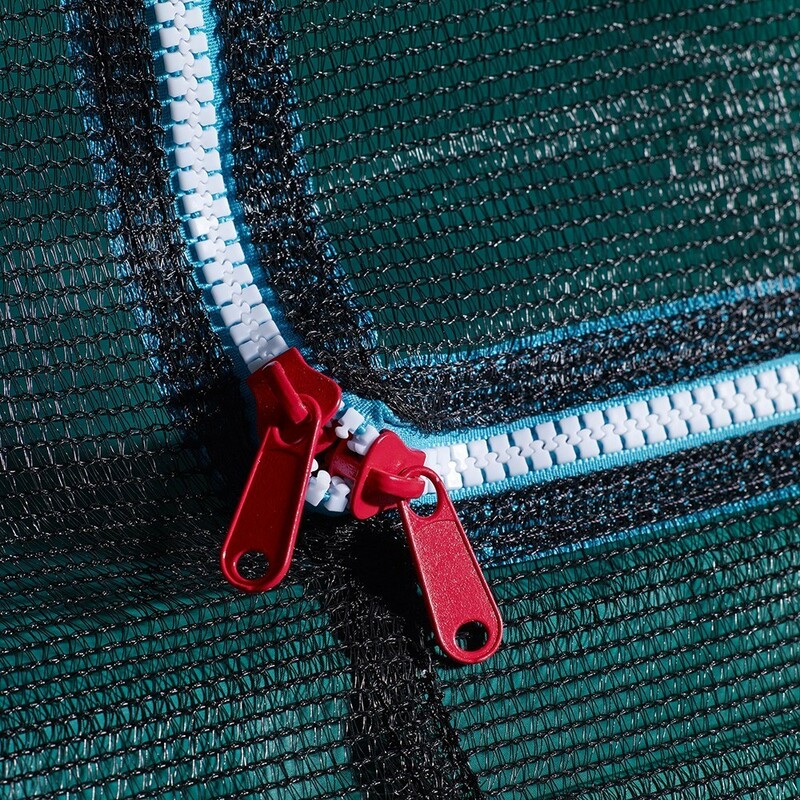 - The net is made with small polyester mesh making it more secure and prevents small children getting their fingers caught. 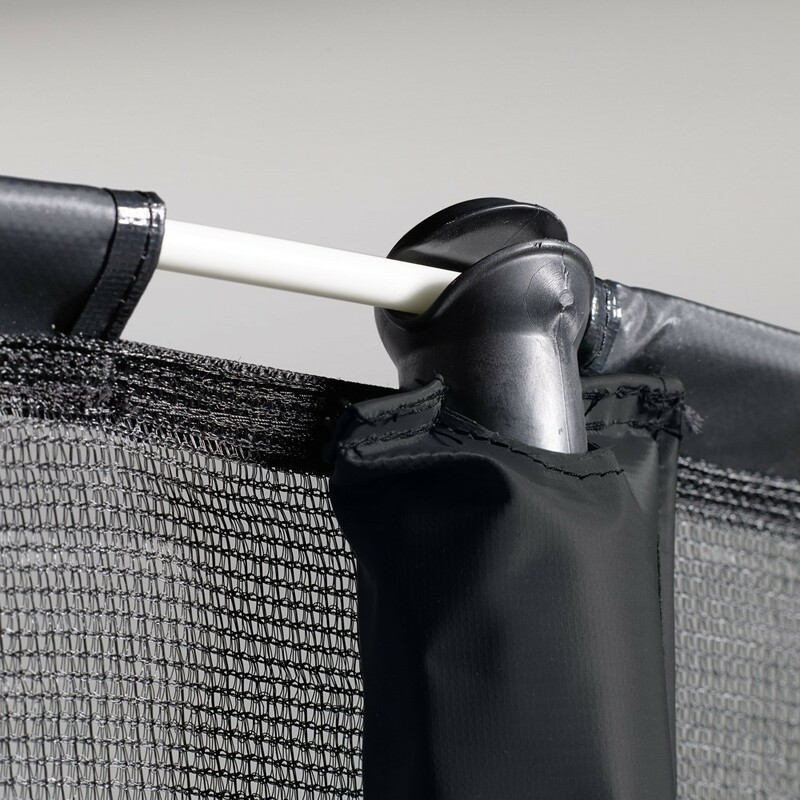 - The net is secured under the frame pad eliminating any gaps between the net and the frame pad so the jumpers cannot fall off the trampoline. - It is sold with 8 31.8mm wide posts that go straight to the ground to provide more stability to the whole trampoline. 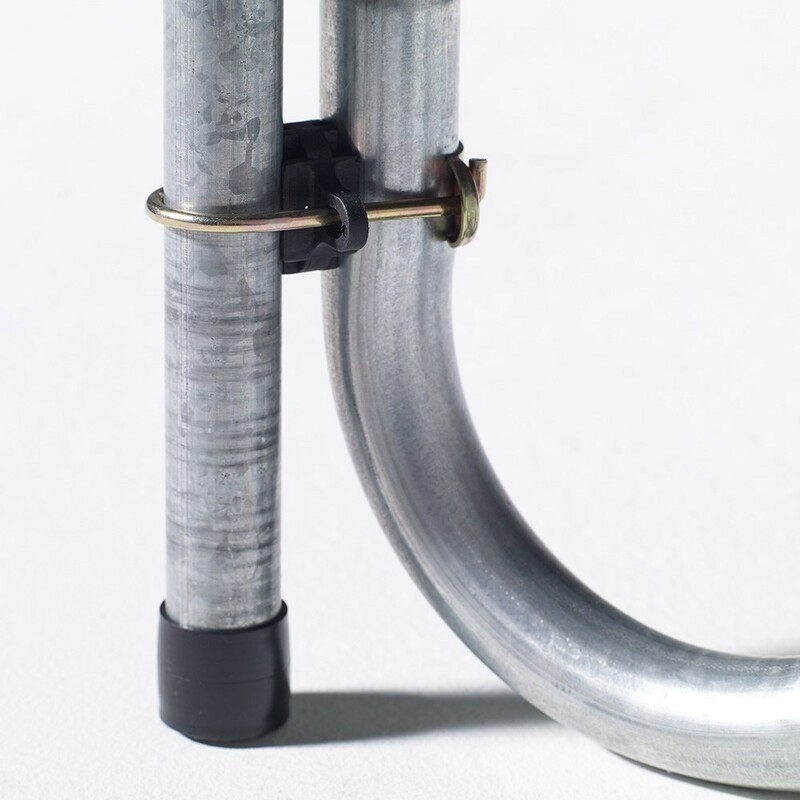 - The posts are made in galvanised steel making them resistant to corrosion and severe winter weather conditions. They can stay outside all year without the risk of rusting. 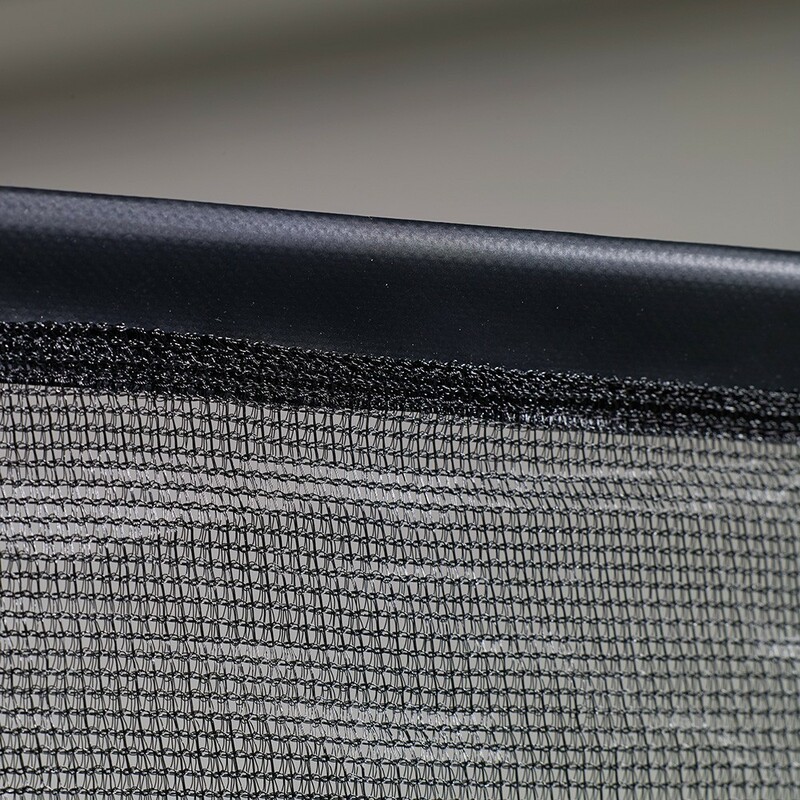 - The fiberglass rods are found at the top of the safety enclosure making sure the net is properly tensioned and resistant to jumpers' impacts. This safety enclosure model fits all round trampolines with a 390cm overall diameter (13ft.). It is suitable with our Jump'Up 390, bought after April 2016.